For people affected by encephalitis, we are a listening ear, a hand to hold and a wealth of information. Every cake sale, every coffee morning, every run, swim and cycle that you do, offers hope that encephalitis will soon become as rare as it possibly can be. We understand encephalitis here at the Encephalitis Society and together with our amazing supporters, we make sure those who survive, can thrive. Our life-changing support is funded entirely by donations and your gifts of money and time are vital. The great thing about fundraising for the Encephalitis Society is that it can be as simple or as elaborate as you like and whether you raise £20 or £200, every penny counts. Whether you are fundraising at home, work or school, if you’re alone or with friends or family, if this is your first try at fundraising or whether you are a veteran, we are here to support you. 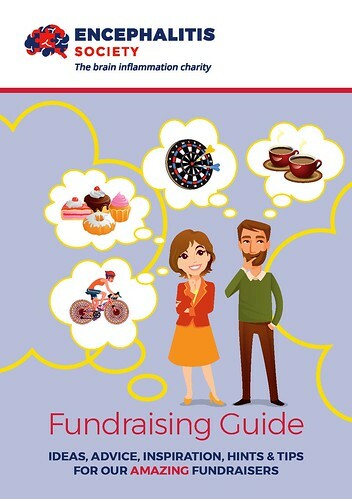 This Fundraising Guide is packed with ideas and useful hints and tips for anyone looking to fundraise for us. We are also always delighted to hear any ideas you may have as well.